Some analysts and professionals have called for Nintendo to tackle the mobile market to work out its profit issues, but none have been as outlandish as Oasis Management founder Seth Fischer. This week, he sent a letter to Nintendo President Satoru Iwata, published in the Wall Street Journal, asking for a Mario game in which 99 cents will allow him to jump higher. "The same people who spent hours playing Super Mario, Donkey Kong, and Legend of Zelda as children are now a demographic whose engagement on the smartphone is valued by the market at well over $100 billion," Fischer writes in his letter. He believes that Nintendo is "well placed to make an immediate entry into mobile," and it has under its control "arguably the largest library of casual games." "We believe Nintendo can create very profitable games based on in-game revenue models with the right development team. Just think of paying 99 cents just to get Mario to jump a little higher." Perhaps Mr. Fischer has never played Super Mario Bros. 2, in which getting Mario to crouch down for an extended amount of time grants him the ability to jump higher. Either that or picking Luigi or Princess Peach also helped with their floating jump mechanics. 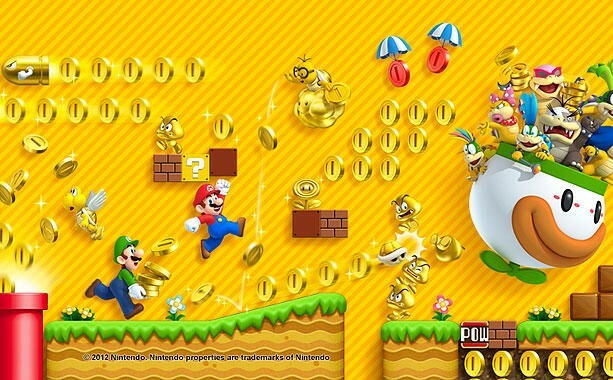 At any rate, never once has Mario had to open his wallet to jump higher. I'm going to operate under the assumption that this guy doesn't know the first thing about what Nintendo fans want and what Nintendo fans will put up with. Such a scheme would quickly toss Nintendo's image right out the window, and it wouldn't enjoy many of those fans for long afterwards. Trust me when I say gamers are not the most forgiving bunch of people, especially with devious attempts at quick cash like that. I will operate under the assumption though that this guy knows how to read a market and make a quick buck before moving onto the next scheme without any emotional connection to the last, so please Nintendo… for long term security and keeping your fanbase intact, send that letter to the paper shredder where it belongs when it drops into your mailbox. Thanks.